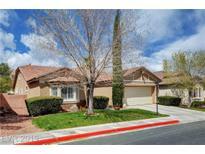 Below you can view all the homes for sale in the Belvedere subdivision located in Las Vegas Nevada. 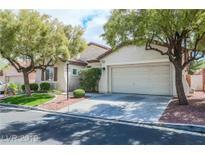 Listings in Belvedere are updated daily from data we receive from the Las Vegas multiple listing service. To learn more about any of these homes or to receive custom notifications when a new property is listed for sale in Belvedere, give us a call at 702-930-8014. Sparkling pool/spa w/waterfall*Backyard oasis w/built-in BBQ &covered patio*Wonderful east facing backyard*Soaring 11' ceiling in great room plan*Gourmet kitchen w/wine refrigerator, custom cabinets, island, brkfst bar, pantry, granite, tile, dbl ovens, gas cooktop, black appliances including refrigerator*Mstr bdrm features 14'x14' custom closet w/built-ins, fireplace, ceiling fan*Mstr spa bath w/dbl sinks, granite, separate walk-in shower &tub MLS#2087539. Keller Williams Realty Las Vegas. New paint, carpet, water heater, etc MLS#2084750. Brady Realty Group, LLC.